Syntho Glass Alpha Industries Ltd.Alpha Industries Ltd.
Syntho Glass is the originally, patented fiberglass pre-impregnated composite that is activated by salt or freshwater. Packaged in a hermetically sealed foil pouch, it is ready to use and does not require any measuring or mixing. 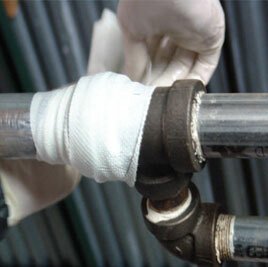 This system, when used with the appropriate primary sealant, enables you to repair and reinforce virtually any diameter pipe in minutes. 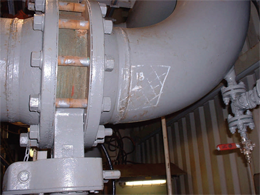 Syntho Glass not only restores a pipe to its original psi rating, but actually can make the repair area stronger than the original pipe, reducing downtime, saving in parts and labor. With an initial setting time of only 30 minutes (75°F/24°C), Syntho Glass is excellent on copper, steel, SS, PVC, FRP, clay, concrete, rubber, and more. It is safe to use, nontoxic, noncombustible, and odorless. 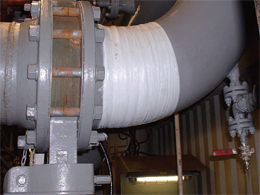 Syntho Glass is a versatile solution for industries where quick-action pipe repair can be critical.